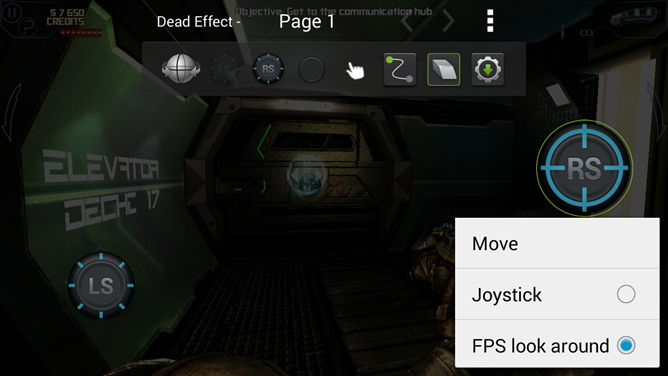 The biggest improvement probably comes to Gamestream, which can now stream some games at full 1080p in console mode. The catch, of course, is that it requires the use of an ethernet adapter; otherwise, only a handful of games are supported at the moment: Assassin's Creed: Black Flag, Batman: Arkham Origins, Battlefield 4, BioShock Infinite, Borderlands 2, Crysis 3, and Skyrim. If all those requirements are met, then streaming PC games to your TV isn't just a dream anymore – it's something that can actually happen. That's sweet. Past that, Gamepad Mapper also sees some considerable improvements, including the launch of community profiles, which will allow users to share their custom mappings. As of this update, gyro simulation will also be mappable to the analog thumbsticks using a feature called "motion sensor." FPS games that use touch swipes to look around are also improved with this update, which is something that definitely needed to be tweaked. One of the other big additions in this update (which isn't in the changelog) is support for NVIDIA GRID. This now-included app will allow users near NVIDIA's Northern California cloud gaming servers to stream PC games to their SHIELD. That's pretty huge... and it makes me wish I lived in Northern California. Anyone looking for a roommate? GRID is also available in the Play Store, though it's only compatible with SHIELD and Tegra Note at the moment. Head here to check it out. 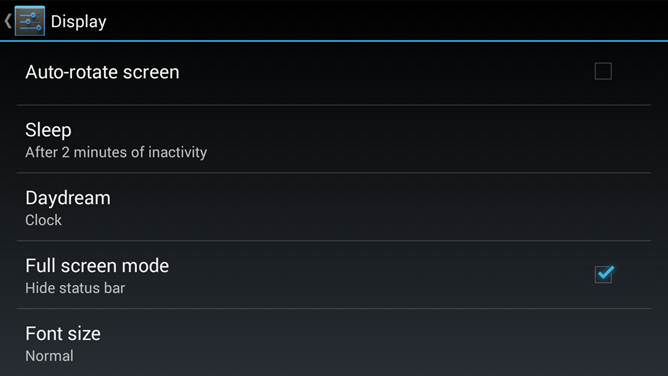 Finally, there are some fullscreen features along for the ride, which will allow the status bar to be auto-hidden. It can then be brought back with a swipe down from the top of the screen – a lot like KitKat's immersive mode feature. Update 65 should be on its way out now – head into Settings > About SHIELD > System updates to pull it down on your device.